The UN Security Council on Wednesday unanimously adopted a resolution to expand the mandate of the United Nations Operation in Cote d’Ivoire (UNOCI), and the French forces supporting it, in an effort to strengthen its capacity to consolidate stability in the West African country, and renewed the term of the mission until the end of this year. In the new resolution, the 15-nation Security Council gave UNOCI and the French forces the mandate to monitor armed groups in Cote d’Ivoire, protect civilians, monitor the arms embargo, promote the peace process, protect human rights, particularly those of children and women, and support humanitarian assistance. The mission was also mandated to help in the organization of free and fair elections, which have been repeatedly delayed, and contribute towards the process of providing identification to the population. UNOCI was also tasked to continue contributing to the implementation of the peace process by supporting the disarmament, demobilization, storage of weapons and the reintegration of former combatants of the two parties, as well as supporting the integrated command centre in the disarmament effort. The mission will also support the redeployment of the Ivorian state administration and justice throughout the country, and help reform of the security sector. UNOCI’s other tasks include supporting the facilitator of the Cote d’Ivoire peace process and his representative and the protection of UN personnel, installations and equipment in the country. The Council “authorizes UNOCI to use all necessary means to carry out its mandate, within its capabilities and its areas of deployment,” said the resolution, which also called on all parties to fully cooperate with the mission and French forces that support it. It decided that UNOCI will comprise a maximum of 7,392 authorized military personnel, maintaining the current combined strength of 8,650 personnel, including 7,200 troops and staff officers and a maximum of just over 1,250 police and customs officers. The Council expressed its intention to consider raising, for a limited time, prior and after the elections, the levels of authorized military and police personnel up to a total of not more than 500. It also welcomed the secretary-general’s intention to reconfigure UNOCI to increase its presence in the identified high- risk areas and to strengthen the capabilities of its force reserve. UNOCI was established in 2004 by the Council to facilitate the peace process in the West African nation, which became split by civil war in 2002 into a rebel-held north and Government- controlled south. The mission has been providing logistical and technical assistance for the preparations for the country’s presidential elections, which were supposed to have been held as far back as 2005, but have been repeatedly postponed, most recently from March. While preparations for the polls were on track up until late last year, they were interrupted in January. Political tensions began to mount after voter registration was suspended due to violence and President Laurent Gbagbo dissolved the Government and the Independent Electoral Commission (IEC) in February. UN Secretary-General Ban Ki-moon had in his latest report on UNOCI recommended an adjustment of the mission’s mandate to allow it to focus on helping the parties to implement the remaining priority tasks in the peace process, including those related to elections, disarmament and all aspects of the reunification of the country. 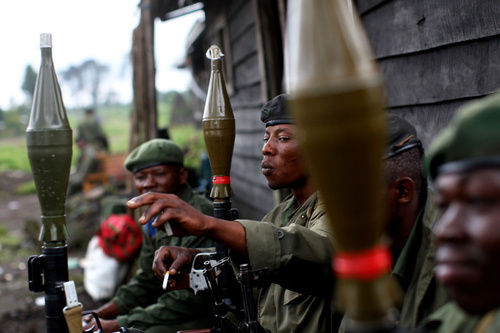 The council has authorized the new operation to stay in the DRC until June 30, 2011. In view of the new phase that has been reached in the country, the mandate of MONUSCO includes help to the DRC government in the protection of the civilian population and support in efforts aimed at stabilizing the situation and consolidating peace in the country. 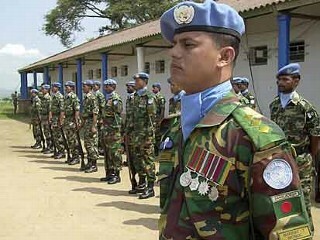 The resolution envisions that any future reconfiguration of MONUSCO will be based on the evolution of the situation on the ground, particularly as regards security, an improved capacity of the DRC government to effectively protect the civilian population, and the consolidation of state authority across the territory. GOMA, DR CONGO: Congolese army soldiers sit with their weapons on the frontline on November 09, 2008 just outside the town of Goma, the Democratic Republic of Congo. Over 250,000 people have been displaced after fighting erupted between the rebel CNDP and the army in the last several weeks. A story reminiscent of “Blood diamonds“, this time it is about gaming consoles. Do you own a video game console? Then you might have more to do with the bloody, brutal war in the Congo than you realize.While the availability of blood diamonds, those rare minerals mined in war zones and sold to build armies, has begun to dwindle under international scrutiny, a new set of conflict minerals is rising to take its place. Minerals like tin, tantalum, tungsten and gold, some of which are found in an array of electronics including video game consoles, are being mined in the Democratic Republic of the Congo and used to fuel what has become the deadliest conflict since World War II. I was reminded of this by an excellent Op-Ed piece by New York Times columnist Nicholas D. Kristof this weekend. In Death by Gadget he talks about his own experiences reporting on the Congo’s barbaric war and why electronics companies need to take more responsibility for where they get their supplies. The link between gaming consoles and these blood minerals are so close that some refer to the decades-long conflict in Congo as the Playstation War. As with blood diamonds, a number of international activist groups are asking companies to track where the minerals they buy come from to ensure it’s not the Congo. While most of these companies seem to get that buying Congolese conflict minerals is a bad thing, not all of them do much to ensure they don’t. We contacted Microsoft, Nintendo and Sony to get their current thinking on conflict minerals and what they do to avoid using them in the DS, Playstation 3, Playstation Portable, Wii and Xbox 360. While all three companies have been repeatedly singled-out by activists for their use of conflict minerals, only Microsoft responded to our request, saying that a “conflict mineral free supply chain is a priority” for the company. Earlier this year, Nintendo did respond to Raise Hope for Congo about the issue, sort of dodging the question by telling the group that the company doesn’t purchase any raw minerals themselves. Sony, the company behind the console most closely tied to the Congo war by activists, has not yet provided a statement. When they do we will update this article. While corporate responsibility is important in global issues like this, not everyone is convinced that the best way to deal with conflict minerals is to ban them. Others argue that legitimatizing the mining of these minerals in conflict areas will help to bring stability to the area. Your take on these issues as a gamer is, of course important. The biggest impact on the blood diamond trade likely came from the decision some consumers made to not buy those diamonds. Would you ever make the same decision about a “blood console”? The Playstation War was debunked years ago. It’s not impossible that a percent or two of the minerals (I’ve heard mainly tantalum, niobium, gallium in past “reports” of this) may have come from the Congo, but it’s vastly more likely from Australia, Brazil, Canada, or China. As for ANY amount being a crime? Prove to me that nothing you own has in any part fuelled any injustice anywhere… the game companies already do what they can to buy from reputable sources, and this isn’t about consoles – it’s electronics as a whole. That includes your car, your thermostat, your doorbell, etc. This is an issue that is only loosely tied to the wars in the Congo, and only singles out video games to gain publicity. It’s sad, but if you’re not processing the raw materials into components to sell on to manufacturers, there’s little more you can do about it. Even though Microsoft’s response sounds like canned PR-speak, at least it means that to actually have that, there have been discussions about the issue … serious discussions. It doesn’t mean they’ve done anything about it, but at least it’s on their radar. US-based companies are usually under far more scrutiny for these things, though — I would add that I believe the additional scrutiny is warranted. As a nation, we often speak up about what we find immoral in other countries, so we should hold our companies accountable — it’s that whole thing about actions following words. Stratfor notices trend first reported on here previously before. With the announcement of an additional $1 billion line of credit, Brazil has advanced the lead it holds as the largest foreign investor in rebuilding Angola’s civil war-ravaged infrastructure. But from Brazil’s perspective, there is more to it than simply gaining construction contracts in Angola. The biggest motivation is likely linked to Brazil’s desire for Petroleo Brasileiro to increase its foothold in the oil deposits waiting to be tapped off Angolan shores. Angolan President Eduardo dos Santos made a state visit to Brazil June 22-24, meeting with Brazilian President Luiz Inacio Lula da Silva and coming away with an additional $1 billion line of credit from Brasilia, which is the leading foreign founder of reconstruction projects in Angola. The money will likely be used to hire Brazilian firms to carry out reconstruction projects in Angola. It could also allow Brazil’s state-controlled oil company Petroleo Brasileiro (Petrobras) to strengthen its foothold in Angola’s offshore oil industry and gain valuable experience for developing Brazil’s massive pre-salt offshore reserves. Reconstruction is a major industry in Angola, a country only seven years removed from a 27-year civil war that left much of its infrastructure in tatters. Luanda, Angola’s capital, finances these projects predominantly with oil revenues, but it also taps some external sources of financing. With the announcement of the additional $1 billion credit line, Brazil has advanced the lead it holds as the largest foreign investor in Angolan reconstruction. Even before dos Santos’ visit, Brazil had already committed a total of $1.6 billion to projects currently under way, recently completed or already planned. (Most of these projects are being built in and around Luanda.) Only China, a country that has shown no hesitancy to throw money at any African country with significant amounts of natural resources, comes even close to Brazil in this category. Brazilian credit for Angola benefits both countries because of the unspoken understanding that the Angolan government will hire Brazilian companies to do the actual work on any given project. But from Brazil’s perspective, there is more to it than simply gaining construction contracts in Angola. The biggest motivation for being willing to invest a total of $2.6 billion in Angolan construction projects is likely linked to increasing Petrobras’ foothold in the oil deposits offshore. To this end, offering an extra $1 billion credit line is seen as a down payment toward obtaining new offshore concessions. And $1 billion itself is not an extraordinary amount; the Chinese are rumored to have paid $1.4 billion in signature bonuses in Angola’s 2006 licensing round. Petrobras is no stranger to the Angolan oil industry, having obtained its first stake in 1979. 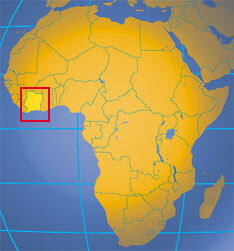 The company currently maintains stakes in six Angolan offshore blocks and is the operator of half of them. None of the blocks operated by Petrobras, however, are actually producing any oil at the moment. In fact, of all the blocks in which Petrobras is a partner, five are in the exploration phase and only one is producing anything at all (a paltry 6,200 barrels per day at that). Nevertheless, Petrobras sees the geological formations off Angola’s shores as being extremely similar to Brazil’s pre-salt deposits, which are on the verge of making the country a rising oil power. Indeed, Petrobras officials regularly express their interest in playing a larger role in developing offshore fields the Angolans are incapable of operating, and have recently stated that the company plans to invest more than $3 billion in the Angolan oil sector through 2012. STRATFOR sources in Angola say that the Angolan government could offer an oil-licensing round at the end of 2010. It all depends on when Angola calculates it is most advantageous to hold a licensing round. Whenever that day comes, the Chinese are expected to make a major push to win fresh blocks. Not wanting to lose out, Brazil likely sees its new credit line as a way to line the pockets of decision makers in the ruling Popular Movement for the Liberation of Angola, led by dos Santos, in hopes that it will spur Luanda to call for another oil-block licensing auction that will give the Brazilians (and not the Chinese) a leg up. This is simply a continuation of Brazilian investment in Africa not just for strategic reasons but also long term return of investments that pay off. East Africa is one of the last major regions in the world to not have true international broadband (aka: “fat pipes”). The recent deployment of the SEACOM broadband cable off the coast of east Africa has sparked “the dawn of a new era” in Internet communications in the region. A June 28–29 symposium in Uganda organized by the U.S. telecom firm Verizon Communications and other planning partners is an effort to help improve East Africa’s Internet links with the rest of the world and thus stimulate enhanced educational opportunities and economic growth and development across the region, the executive said. Kathryn C. Brown, senior vice president of public policy development and corporate responsibility at Verizon, spoke with America.gov June 21 and previewed the event, which is expected to attract some 120 government, business and education representatives from the target countries of Uganda, Kenya, Tanzania, Rwanda and Burundi. The symposium seeks to improve Internet access and applications for the region’s institutions of higher education. The major universities in East Africa are “hungry for connectivity,” Brown said. Recalling how Verizon got involved in promoting the symposium, she said Uganda Martyrs University wanted to do “distance learning” (using the Internet to teach people remotely) throughout Uganda and East Africa. Second, she said, the symposium is trying to address distance learning all over Africa so that students can be reached wherever they are. Third, she said, professional schools such as medical and law schools want to be able to use the Internet to reach out to local clinics and law practices across the region. Overall, the conference hopes to connect education, communication and government and spur a dialogue to move forward and use the Internet to promote greater economic growth and development across East Africa, she said. Attendees will include the vice chancellor of Uganda Martyrs University, faculty members from Makerere University, the rector of the Islamic University of Uganda and representatives from some 25 universities from across East Africa. The chancellor of the prestigious Massachusetts Institute of Technology (MIT) will be there to speak on the link between Internet connectivity and education, and senior government officials from the region will be in attendance, along with representatives from the International Telecommunication Union (ITU), which coordinates global telecom operations. Additionally, she said, U.S. Under Secretary of State for Public Diplomacy and Public Affairs Judith A. McHale will address the group. “We are just so pleased that she is going to come to speak at the conference,” Brown said. Additionally, major service providers like AT&T, Google, Motorola, Qualcomm, Ericsson and Intelsat will join local operators to lend their voices and expertise to the conversation. More on the expansion of broadband and the internet in Africa in previous post. Many people questioned the reasons why FIFA was awarding South Africa the 2010 World Cup. To me, the vast array of questions, especially among those opposed were not relevant when fully looked at. One of the main reasons why so many people were support was the winds of change it would bring to the host country and Africa in general. Ask yourself if people who had never been to South Africa would know what a Vuvuzela was or meant? YouTube even got a Vuvuzela button. It even has invaded America’s pastime, Baseball. dramatic change driven by forces more powerful than football.While the competition may help change Africa’s image in the minds of any outsiders still fixated on cliches of bloodshed and famine, those in the know long ago spotted Africa’s emergence from no-go zone to frontier market and are seeing the returns. If you had put $1,000 in Nigerian or Kenyan stock markets at the start of the year, you would have made a profit of around $150. If you had done the same with the U.S. benchmark S&P 500 index, you would be nursing a loss. Global fund trackers EPFR reported a 40th consecutive week of inflows to African equity funds this week. India’s Bharti Airtel completed a $9 billion purchase of Zain’s African operations in another vote of confidence in the continent. “It’s not to denigrate the World Cup for a moment, but it’s not what defines Africa in 2010. What should really be defining Africa is Zain buying Bharti’s assets,” said African affairs commentator Joel Kibazo. Half of the world’s 10 fastest growing countries will be in Africa in 2011 according to the International Monetary Fund. Better economic management, increased political stability, debt relief, higher production and prices for export commodities and technology — mobile phones in particular — have all helped improvement. Africa’s fate these days is also less linked to handouts from former colonial powers, themselves struggling under debt burdens proportionally bigger than Africa’s. It is more closely tied to Asian and other more dynamic economies. “We need to wipe out that smug Western view of more risk in Africa,” said David Murrin, chief investment officer at UK-based Emergent Asset Management. Although Africa is seen in a much more positive light than for decades, however, its growth is from a low base and countries face challenges from bogus democracy to shambolic services to ethnic division. No other African country appears to have the capability to host the World Cup yet and it is hard to forecast when that might be the case. Infrastructure such as power and roads are dire and Africa needs an estimated $93 billion a year to improve it. South Africa has appalling crime levels, but its police and justice system are efficient compared to those in much of the continent. Egypt lost out to South Africa for the 2010 contest, but some Egyptians doubted it was really ready for such a challenge. “I don’t think we had the capabilities,” said student Mohamed Nabil in Cairo. “It’s good for South Africa. They’re way ahead of us. But it’s nice that the World Cup is held in Africa in general. That is progress in itself. The more interesting Point is how South Africa have provided a great service to the Continent by hosting the World Cup which has triggered an upswell in Africa Commentary, most of it rational and logical and hence Positive. The World Cup might prove to be the Tipping Point with regard to Perception of the Continent. For that, I am grateful. One would think that Apple would try at least investing in growing emerging markets world-wide, especially in Africa. Apparently it seems there isn’t an app for that. One can argue that the reason why Apple hasn’t made the leap in various African countries is lack of communication infrastructure even though Africa is rapidly investing in broadband and high speed connections, but still that aspect doesn’t fully answer the question. The folks over at Foreign Policy ask and answer the question that i have been asking myself. Africa is a multimillion-dollar mobile market, and plenty of the major technology companies, Western and otherwise, are there already. Multinational telecoms like MTN, Safaricom, and Zain are competing to cover a continent of 500 million mobile consumers, improving connectivity and dropping prices. Low-tech Chinese imports and no-contract, prepaid plans have made the technology easily accessible; Belle-Vista alone sells 500 phones a month. Nokia, which established its first African research center in Nairobi in 2008, has just unveiled a telephone that will allow consumers used to toggling between two or three devices to use multiple SIM cards in the same phone. BlackBerry has likewise responded to explosive demand by opening an office in Nigeria this year. Google, whose Android operating system is the strongest competitor to the iPhone, has had a presence on the continent since 2007 and now operates in 45 African countries, hiring and training African developers to convert its well-known suite of Web applications (Maps, News, Finance) for local use — often over mobile devices. These companies and their technologies are opening a line into the flattening world we’ve heard so much about, creating markets, enabling information access, and building relationships in ways that have changed poor countries from the bottom up. But it’s hardly philanthropic work — market leader Nokia’s regional revenues were 1 billion euros in 2009, and Research In Motion, named Fortune‘s fastest-growing global firm in 2010, sold 1 million BlackBerries last year in South Africa alone. Why is Apple missing in this growing and expanding market even though they had an earlier iphone model? The earlier-generation iPhones are, ostensibly, available on the continent — Vodacom, a subsidiary of British Vodafone, signed a 10-country distribution deal with Apple in 2008 that included South Africa and Egypt, and the phones do work on local networks. Vodacom has also announced that it will distribute and service the iPhone4 in Africa in the near future. But for the vast majority of Africans, Apple effectively doesn’t exist. The iTunes store’s music offerings have never been available on the continent; African IP addresses are blocked. The iPhone goes for $1,000 at local retailers — 10 times the current U.S. price for the same model, a big-enough markup that most iPhones on the continent are purchased abroad instead — and because of limited bandwidth and apps availability, owning one is “like having a Maserati in traffic,” according to Tayo Oviosu, CEO of Pagatech, a mobile banking firm in Nigeria. This is a shame, considering what even inexpensive, basic cell phones have done for Africa. In poor countries, cell-phone penetration has been linked to positive economic and developmental outcomes. A 2006 study of emerging markets suggests that a 10 percent increase in mobile penetration correlates with a 0.6 percentage point increase in economic growth rates. In Africa, the trend is lifting all boats: A fisherwoman without refrigeration in the Democratic Republic of the Congo can keep her catch on the line in the water, waiting for customers to call; selling access to a mobile phone in poor or rural areas of Uganda has become a viable business model. Professionals stuck in Johannesburg traffic make deals on their BlackBerries; demand for skilled labor in the information and communication technology sector has created 400,000 jobs in Nigeria since 2000. There is so much potential that can happen once Apple decides to embrace and market the iphone like in Asia and Europe. We have seen what itunes has done to the TV-Music-Movie industries and especially in software programming, creating a new and ever growing niche markets in apps. The same growth and dynamism can happen in Africa. The iphone is the perfect vehicle to drive this change. It isn’t just Africans who are losing out from Apple’s disinterest in the continent. As mobile data usage comes to replace traditional computing in Africa, the new unit of engagement for business, government relations, and humanitarian work may be the smartphone — and it stands to reason that the company with the best local presence will reap the benefits of rising incomes and demand on a continent of nearly 1 billion. Apple needs to fully embrace the growing and emerging markets of Africa. The upside of growth is staggering. Google seems to have taken notice of this while Apple hasn’t. In an effort to beef up its presence against its competitors in growing emerging markets, Ford will invest in South Africa as an export hub. Ford Motor Co. is making multi-million-dollar investments in two major export hubs in Asia and Africa, as part of an effort to beef up its presence in fast-growing emerging markets. On Thursday, Ford announced a $450 million outlay to build a new passenger car plant in Thailand. The plant is expected to provide a boost to the Thai auto industry and help an economy racked by months of political turmoil. Next week, Ford will unveil plans to increase production capacity at a plant in South Africa, enabling the company to export more Ford Ranger trucks to Europe and other markets. The company has no plans to import the global version of the popular truck to the U.S. market, a Ford executive said. The investments follow Ford’s strong earnings in the first quarter, when it reported $2 billion in net income. Despite its improved bottom line, the auto maker still faces a number of challenges, including $31.3 billion in debt and sluggish auto markets in the U.S. and Europe.